Hello hello! My name is Kaitlin and I graduated from Virginia Commonwealth University in May of 2017. 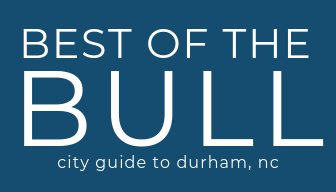 I moved down to Durham this past summer and have enjoyed getting to explore the city and the opportunities here SO much! From the food to the nightlife, Durham never ceases to amaze me. When I’m not scarfing down breakfast food and chocolate, I enjoy spending time outside, reading, and writing. Sometimes you just have to get out of your head and into the world.